I have always loved Fall fashion. The texture, materials, colors and of course the boots and booties. 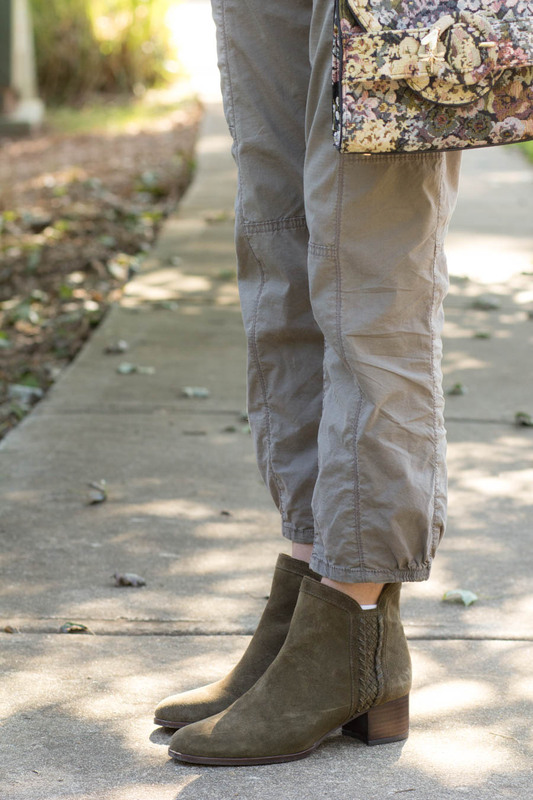 I thought today I would share a Fall transitional look with my monochromatic look and suede olive booties. 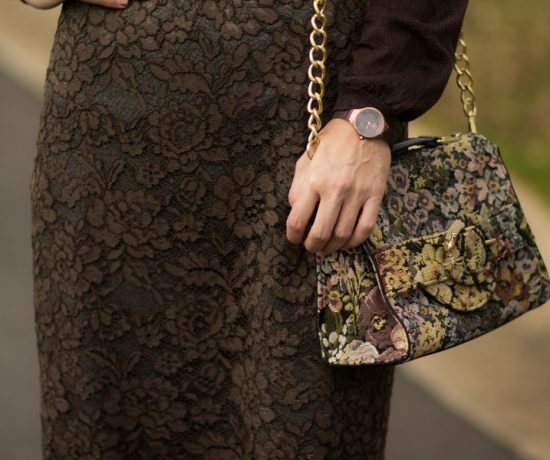 I have broken up the monochromatic style with a cute jacquard bag I found on Zara last year. Loved the small boxed style and the pins on the front of the bag. I also am wearing a suede cognac statement necklace I found on Poshmark, from Zara. One could wear a patterned scarf, a quilted bag for added texture and color to break up the monochromatic look. 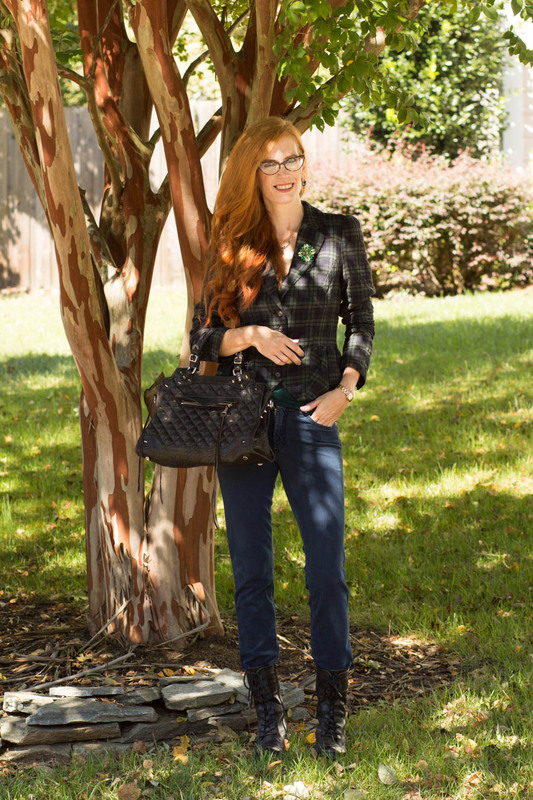 I loved love to hear how you are transitioning to Fall with your clothing? Tell me in the comments section. TOMORROW IS THE WEEKLY FASHION LINKUP I HOST, TURNING HEADS TUESDAY! YOU DON’T HAVE TO BE A BLOGGER TO BE INSPIRED BY ALL OF THE FASHION/BEAUTY POSTS. PLEASE JOIN IN AND YOU CAN ALWAYS STOP BY TO READ THE FASHION BLOGS! Click HERE if you aren’t sure what a linkup is. Thanks for linking up to Top of the World Style. Great styling! 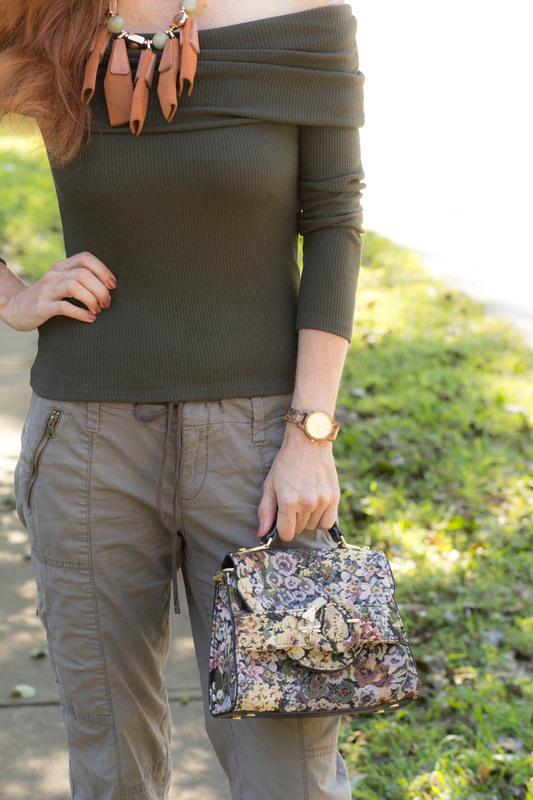 I love the contrast between the bag and the cargo pants! 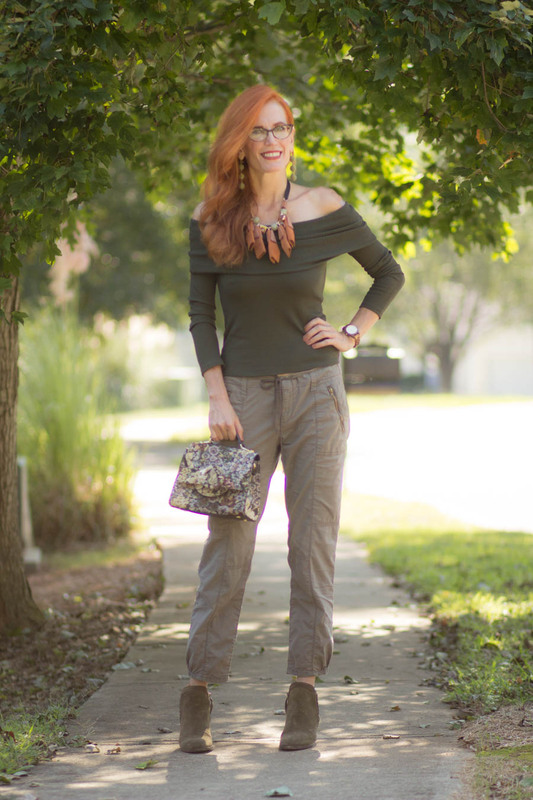 Love the khaki tones and beautiful statement necklace ! This is a great casual style on you ! I am not too keen or the horror movie venue at the moment, real life is scary enough! Jess—this necklace shows up so perfectly against that top!! What an incredible piece of jewelry!! 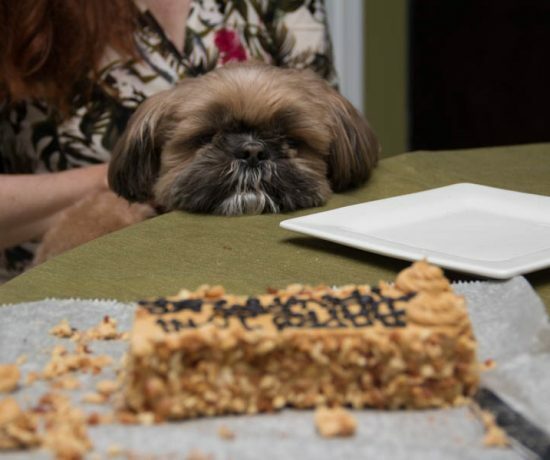 Such a cute look on you! 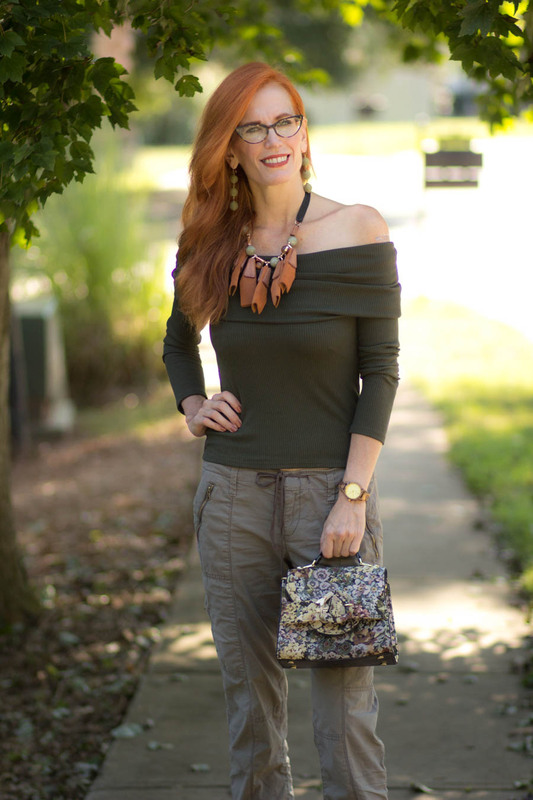 That olive green top and amazing necklace are great on you! Another fabulous outfit Jess! I love it.